If there’s one thing men struggle with when growing a beard, it’s the headache that comes with battling patchy spots. Bald areas often appear on the cheeks, jawline and at the sides of the chin, and they can make an otherwise well-trimmed stubble look unkempt. While there are a number of factors as to why men have patchy beards, the good news is that there are ways to deal with this issue. But before delving into that, let’s find out why beards get patchy in the first place. Let’s face the cold truth: Any man’s ability to grow facial hair depends on his genetic makeup. To know whether you have what it takes to actually grow a beard, simply have a look at the faces of your brothers, father, or male relatives from your father’s side. If you don’t come from a lineage of bearded men, then you’re likely to have a hard time growing a full beard. Beard hair growth is fueled by testosterone, the male hormone that gives you most of your masculine features. Some men have low testosterone levels because of genetic reasons, and when there is less of this hormone in your body, growing a beard becomes a problem. Age also plays a role when it comes to the growth of facial hair. Obviously, if you’re still a teenager, your facial hair has yet to reach its full growth potential. Most men don’t grow all their facial hair until they reach their 20s. Hence, age could be one of the reasons behind those patchy areas that you see on your beard. But if you’re much older, chances are the underlying problem is genetic and that you have sprouted all the facial follicles you ever will in your lifetime. That said though, sometimes men with the beard-friendly gene also have a hard time growing facial hair. This can happen if beards are not given a healthy growing environment. For example, the lack of certain nutrients in your diet, stress, and even the way you care for your facial skin can contribute to beard patchiness. Aside from genetics and age, itchiness can be another reason why you have bald patches on your beard. This is a common occurrence especially when growing a new beard. Scratching those itchy spots can cause follicles to fall off, causing baldness. If you’re genetically able to grow a beard, older than a teenager, and have been moisturizing your itchy spots regularly, but still find that you’re suffering from patchy spots, then the following tips will help you overcome this issue. While these methods are not 100% guaranteed to work, they’re worth trying. You can also have some fun while testing them out. Patching up a beard can be done with a few grooming rituals or diet changes. Here is a list of things you can apply and see whether they help you achieve that even follicle distribution that you want so badly. In some cases, beard patches are easy to fix through simple grooming techniques. For instance, resisting the urge to trim your facial hair as it grows could cover up those bald spots once your beard eventually grows longer. However, split-ends tend to slow beard growth. So in case you catch any wiry and unruly hairs, be sure to nip them off. Another grooming method that can help hide patches is combing. Try using a brush with soft bristles to comb your beard downward. This will tame those unruly strands and give your beard a uniform appearance, especially if you already have a good amount of facial hair growth. Applying some beard oil may help to encourage hair growth in addition to soothing itchiness. Much like the scalp, your facial skin needs to be nourished in order to support healthy hair growth. If you’re like most men, you may have neglected your face, and that’s why it’s drying out now. Using a good beard oil will moisturize facial skin, keep your facial strands from falling out, and nourish your follicles with essential oils that can spur growth. The final essential tool in a beard’s man grooming arsenal for getting rid of patches is beard shampoo. Shampooing beards is increasingly becoming a popular grooming ritual with good reason because it thickens any existing facial hair and helps your beard grow longer. A good beard shampoo can clean deep within those patchy areas by sweeping away cracked up sebum to promote follicle growth. If your beard doesn’t grow evenly, odds are your diet is wanting, and taking some beard growth vitamins may help fill up those bald spots on your half-grown mane. A testosterone booster, for instance, can help facial hair grow and remain healthy. 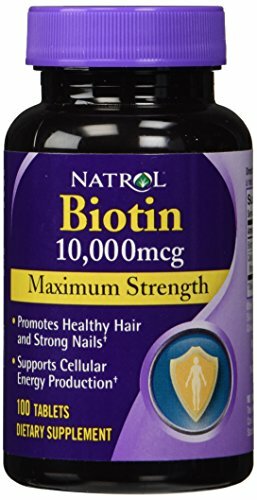 You may want to look into biotin which is considered one of the main supplements you can take to promote hair growth. Some interesting research reports have shown that there is a strong link between sleep deprivation and hair growth. According to these studies, the lack of sleep can stunt hair growth. This might explain why some men begin to develop patches on their beards. Hence, keep in mind that getting adequate rest might help to fill out those bald spots on your beard. If you’re willing to do anything to eliminate small stubborn patches on your beard, you can choose to go for a beard transplant. A hair transplant specialist will take some healthy follicles from the back of your head and transfer them to your cheeks or chin. The procedure leaves no scars and has a quick recovery time. The downside is that this cosmetic surgery can be quite costly. So unless you have small beard patches to fill up or happen to be super rich, a beard transplant isn’t exactly the best solution. If you don’t have the funds for a beard transplant, the only other option you have is to simply style your beard. 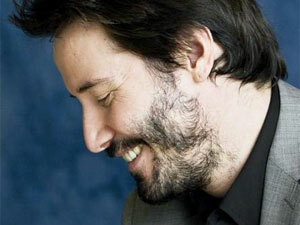 Think of it this way: You’re better off with a half-beard that’s well-styled than being clean-shaven. And luckily, there are many ways to style a beard by showcasing your thick spots while hiding the patches. For instance, consider styling your beard into an “anchor style” (where there is hair on the jawline and chin only) if your bald spots tend to be on the cheeks. For those who have a hard time growing sideburns, a five o’clock shadow makes for yet another great styling option. You can read through some of our Top beard trimmer reviews or our Best Stubble Trimmers out there to keep yourself styled up.